Amateur sleuth and crossword impresario Cora Felton is asked to solve a puzzle, only to find that it's been stolen―and a murder weapon has been left in its place. 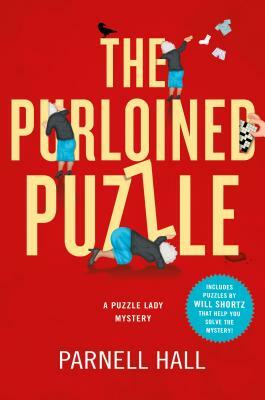 When the obnoxious sixteen-year-old Peggy Dawson asks Cora Felton to solve a puzzle for her, Cora is delighted to find that the puzzle has been stolen. She is less delighted, however, when a blood-stained knife is found in its place. Soon a body is discovered in the middle of Main Street, and Cora has a murder investigation on her hands. It does not help matters when she hears that her least favorite ex-husband, Melvin, is in town pulling a real estate scam, particularly when she discovers that Melvin may have purchased the knife. Now it's up to the Puzzle Lady to figure out what really happened.